Access a wide variety of resources and services to make your time at McGill a success. 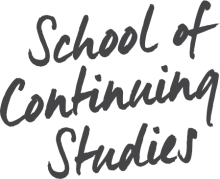 The School of Continuing Studies presented its first Award for Distinguished Teaching in 1993. Our goal was to recognize teachers who embody the highest attributes of the teaching profession; teachers who motivate their students, are committed to quality teaching, and who build on their students’ existing competencies. Have been teaching at the School for a minimum of 3 years. The School relies on students like you to identify teachers who exemplify these qualities and values. Students who put forward nominations of deserving individuals help the University meet its own objective of recognizing quality teaching. Do you know of a candidate who qualifies? If so, please complete the Mercury Online Course Evaluation and nominate your candidate.